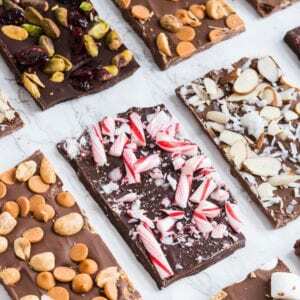 So here’s the thing about the Inspired Creations Contest. 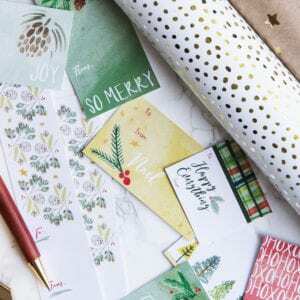 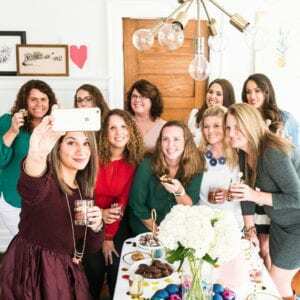 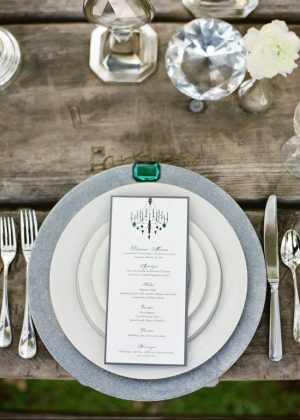 I just love seeing how different teams can take the same rules (spend no more than $500; incorporate a little glitter and glam; make something beautiful) and come up with such wildly different ideas. All beautiful. 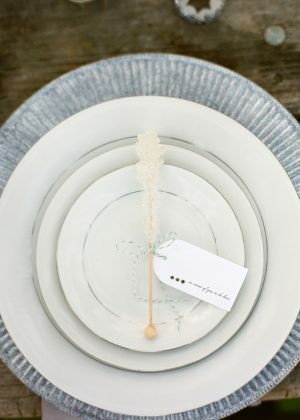 All unique. Today’s entry comes from Bella Rains Garden Studio and Lavender & Twine and was inspired by a gorgeous pair of emerald satin Badgley Mischka pumps. 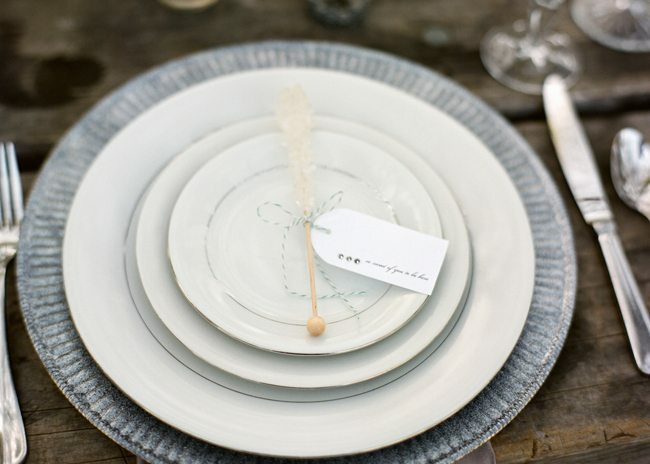 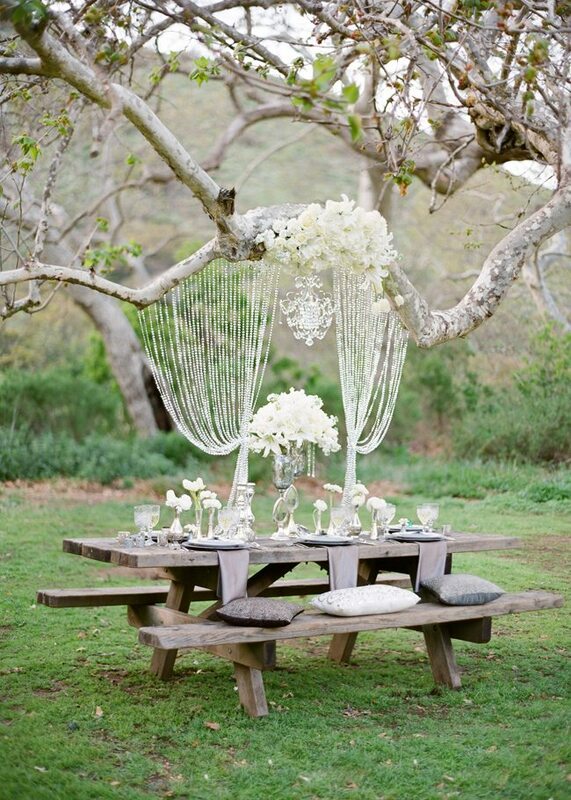 From there they created a stunning tablescape under the bough of a graceful old tree in a local park. 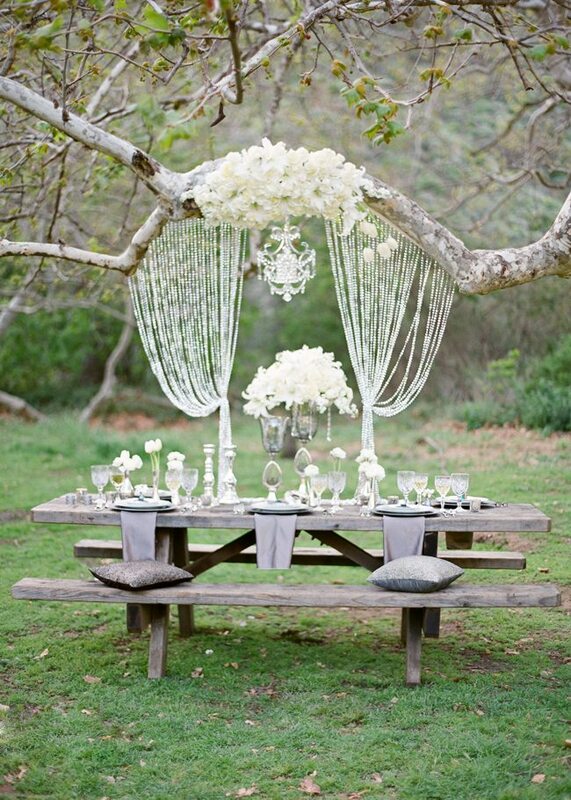 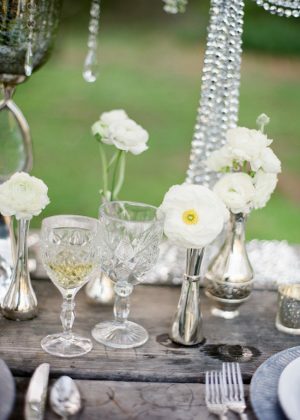 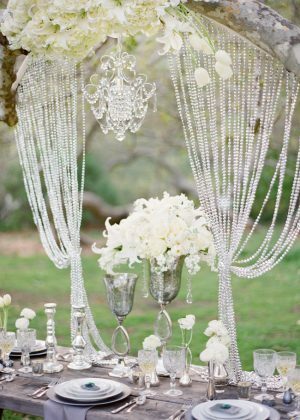 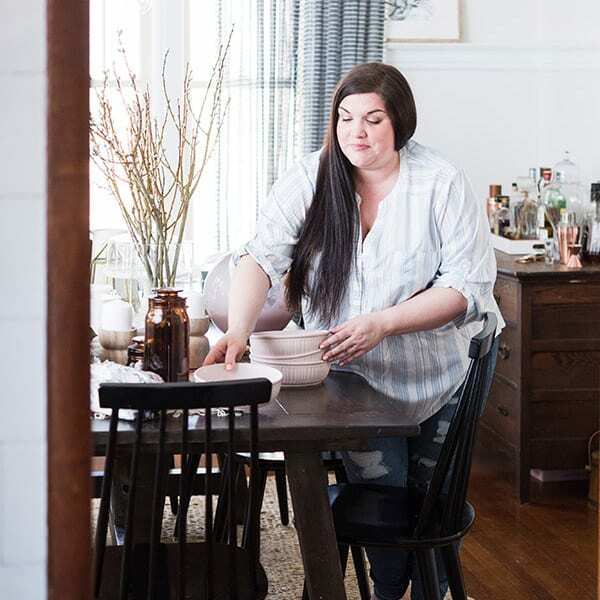 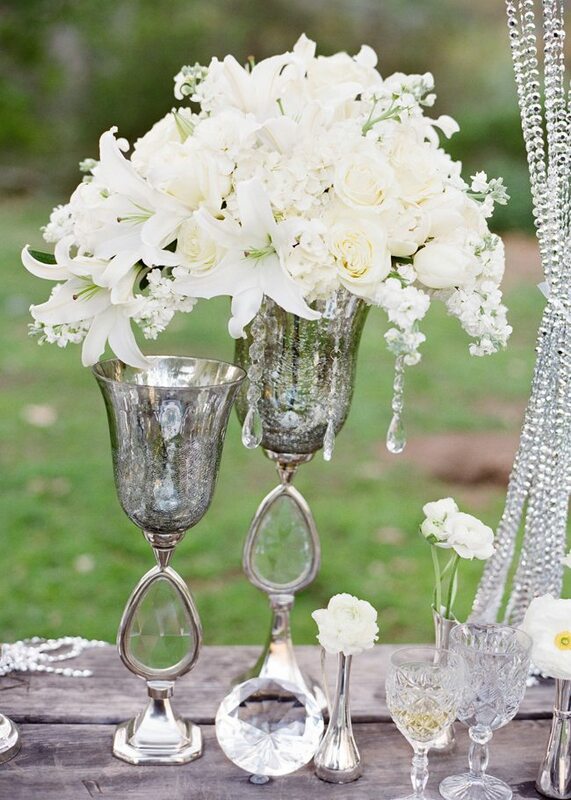 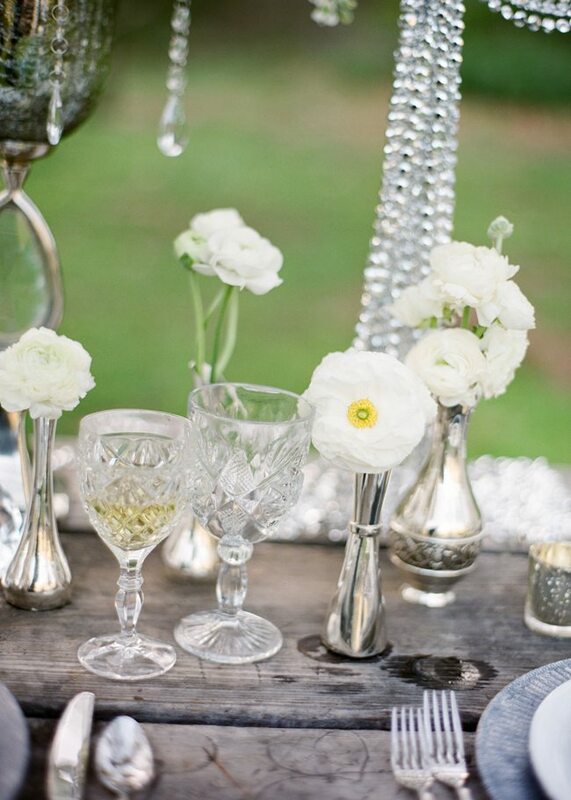 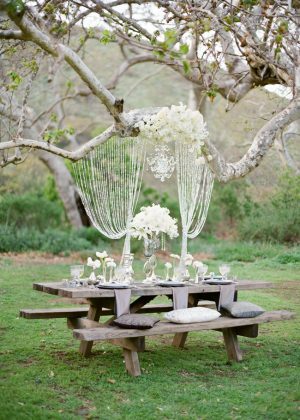 Draped with crystals, beaded curtains, decadent white flowers and loads of shimmery glassware and metallic accents, this old picnic table becomes the epitome of glamor. 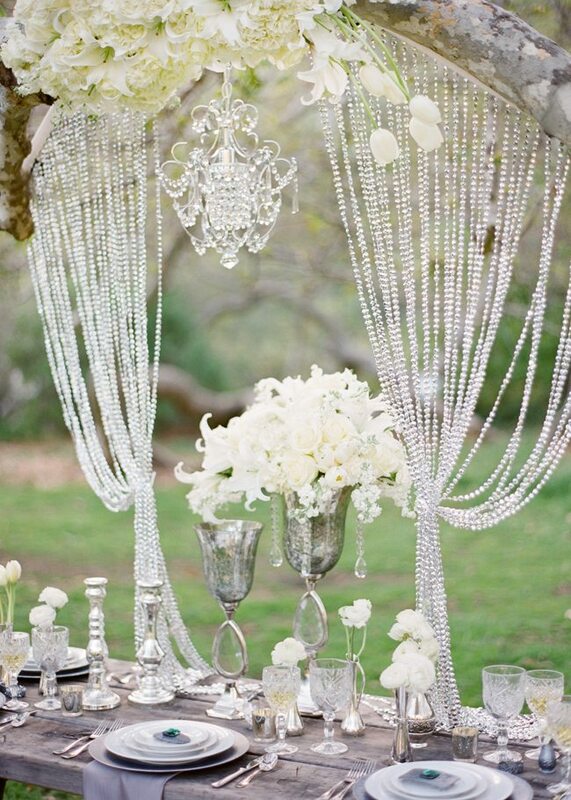 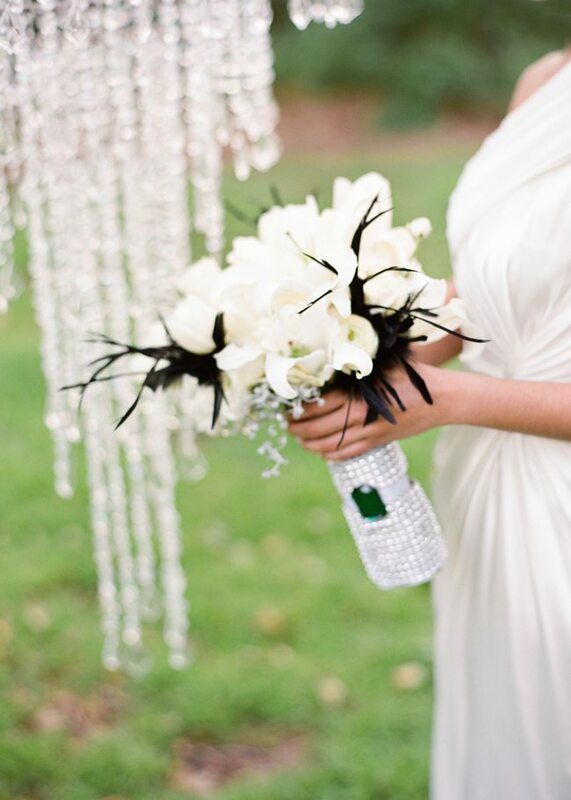 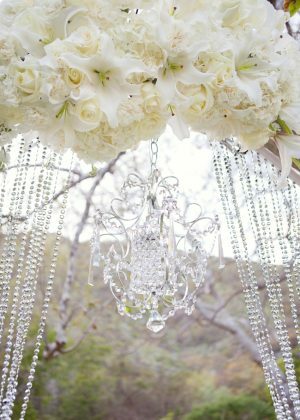 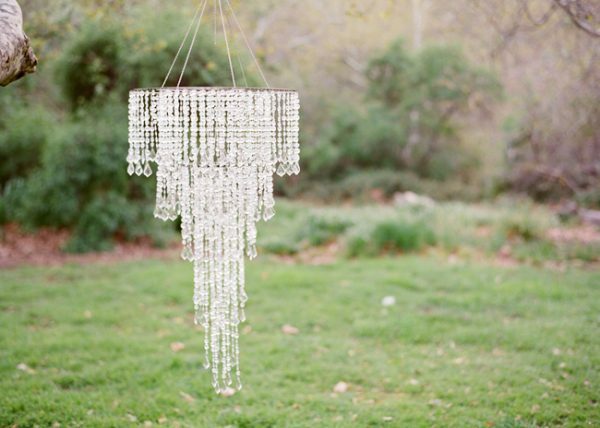 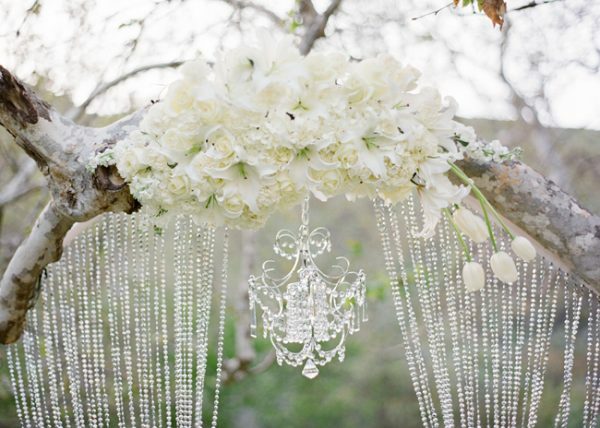 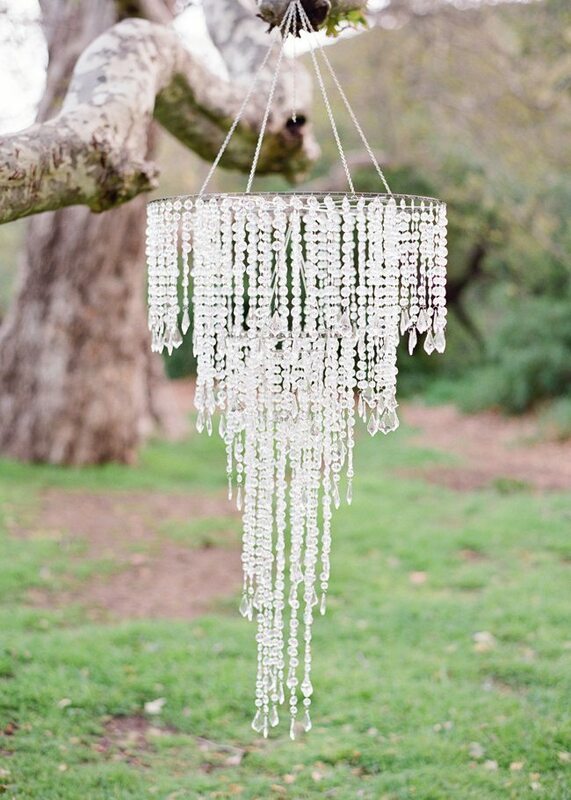 A gorgeous crystal chandelier is a stunning addition the backdrop of the bright green trees. No Coleman lanterns at this picnic! 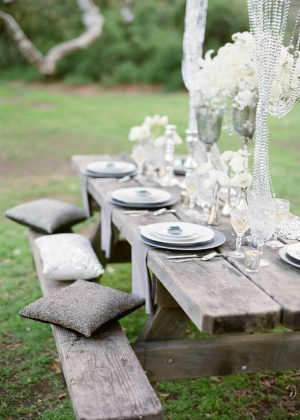 Sparkly pillows, metallic chargers (stay tuned for the DIY! 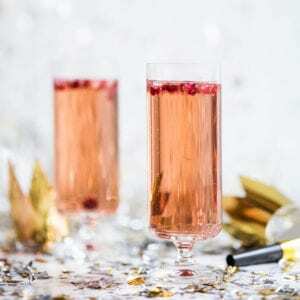 ), glittery napkin rings, vases and fine china with a bit of glimmer and shine were paired with crystal cut wine glasses and pretty mercury glass. 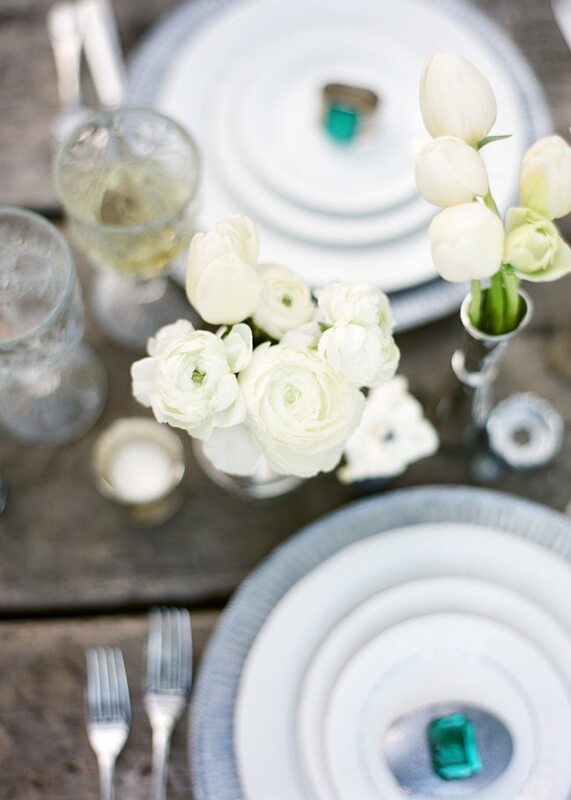 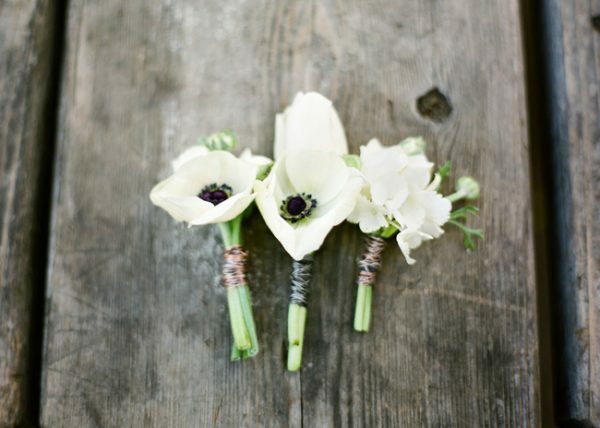 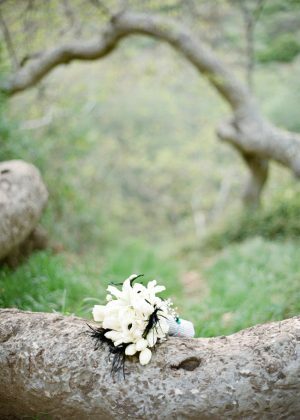 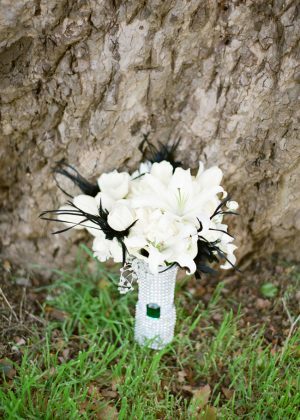 Emerald served as an unexpected and incredibly sophisticated accent to all of the white and silver, with all white flowers to keep the palette neutral and shimmering against the natural green backdrop. 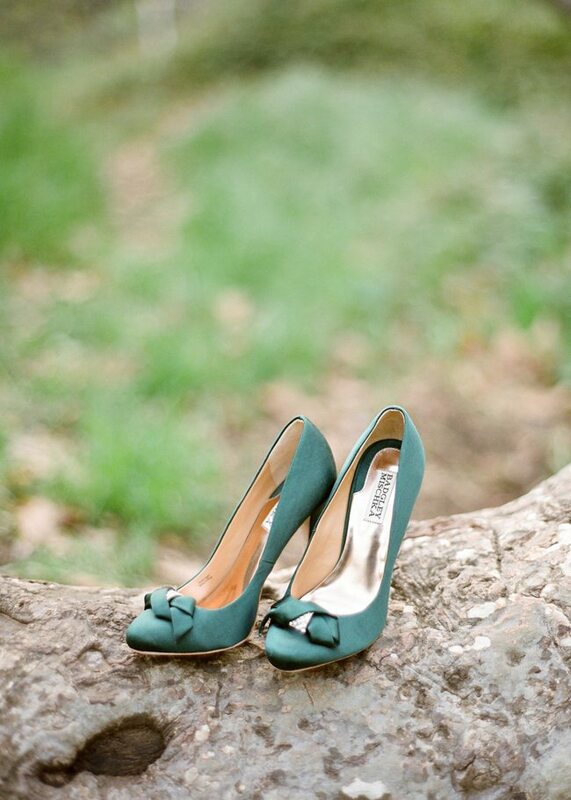 I have to say, I just love this color palette. 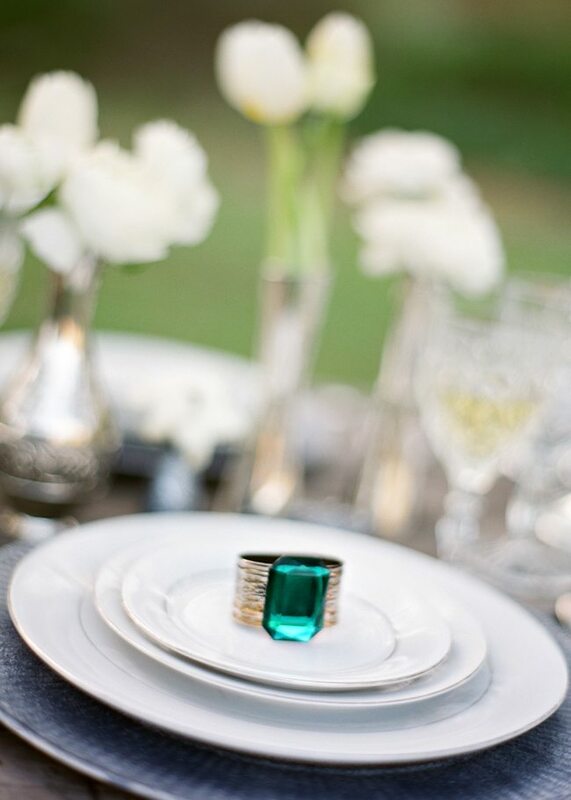 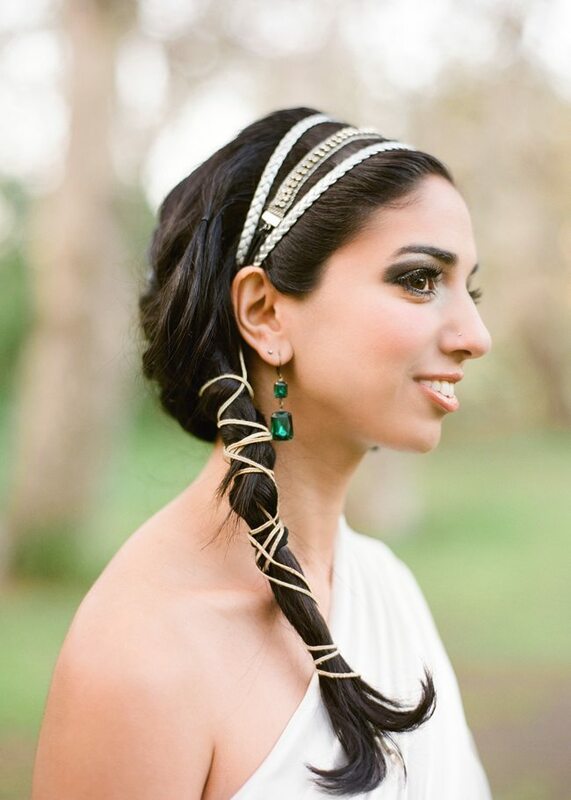 The mix of natural hues, metallic shine and jewel-inspired emerald is so chic while feeling really fresh and pretty for summer weddings. 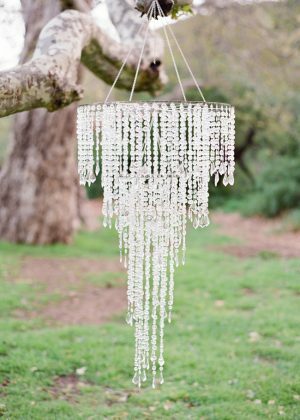 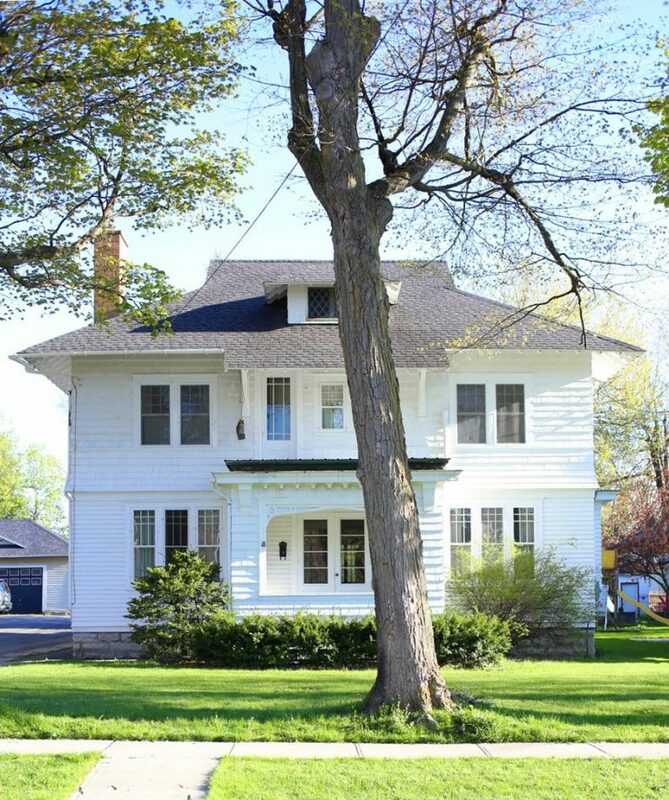 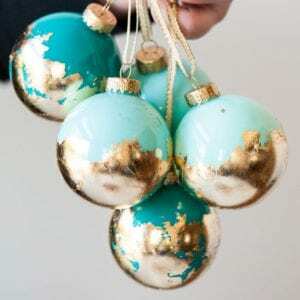 Much love to Bella Rains Garden Studio and Lavender & Twine for being a part of the Inspired Creations Contest!